The Philosophy, Science and Art of Alchemy. travel light. Affordable and for everyone. durable paper and strong construction. Leather books that will last lifetimes. 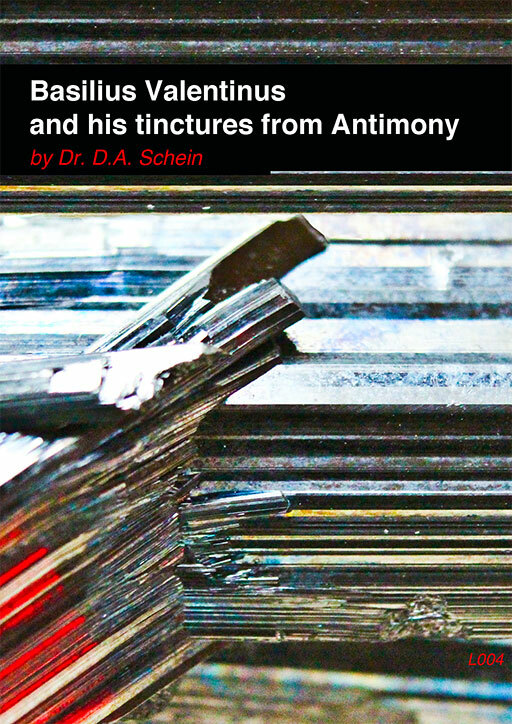 BASILIUS VALENTINUS AND HIS TINCTURES FROM ANTIMONY began as a doctoral thesis of Dr. Schein with the University of Munich, and was originally published in German in 1977. It reproduces the procedures set out in the famous alchemical manuscript The Triumphal Chariot of Antimony, by basil Valentine. Dr. Schein proves that modern day alchemists should not shun the growing body of knowledge available since days of old, while, on the other hand, science based investigations of alchemical text would do good not to ignore the alchemists viewpoint as outdated and irrelevant. 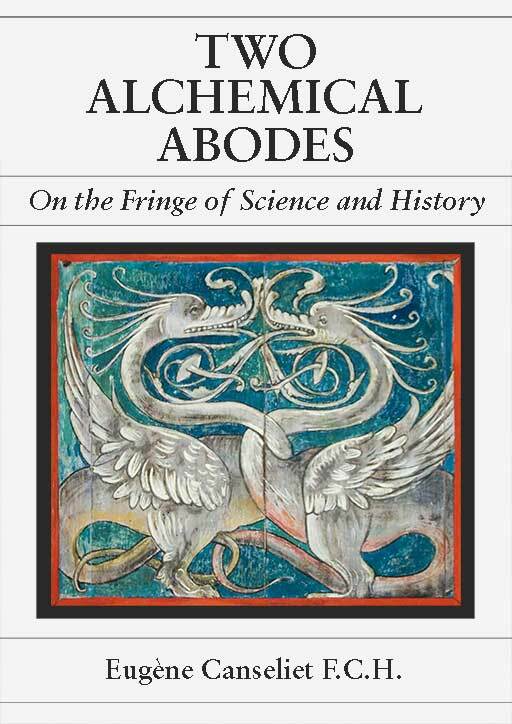 Ideally, interest in Alchemy will neither remain in the past nor disregard the past, but will help translate alchemical concepts and results into languages used today. CHIVALRY reveals a side of knighthood that seems to have been overlooked by main stream historians. Pierre Dujols was known as one of the more advanced practical alchemists of the early 20th century. He had a keen interest in the chivalric tradition which is not surprising considering the more than coincidental link between knighthood and alchemy that has been found throughout history. 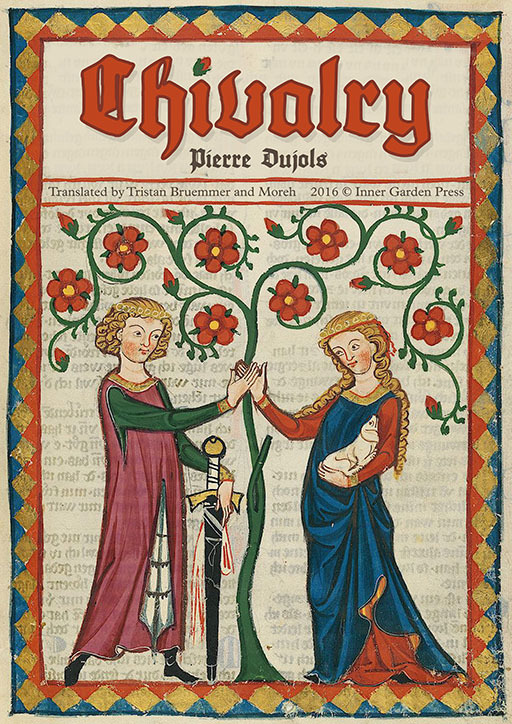 In this unfinished manuscript Pierre Dujols unravels a secret tradition that has been an undercurrent of Mystical and Knightly Orders. TWO ALCHEMICAL ABODES is one of the first books of Eugène Canseliet, reminiscent of Fulcanelli's Mystery of the Cathedrals and Dwellings of the Philosophers. In his unique periphrastic way Canseliet here delights the reader with his observations on another two dwellings that must have belonged to alchemists: The castle of Plessis-Bourré and the Villa of Palombara of which now only the remarkable Alchemical Door remains. 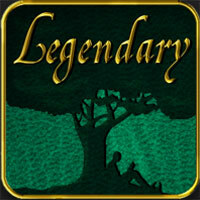 Submerge yourself in the fantastic world of the philosophers of old and prepare to enter an uncharted realm of wonder. 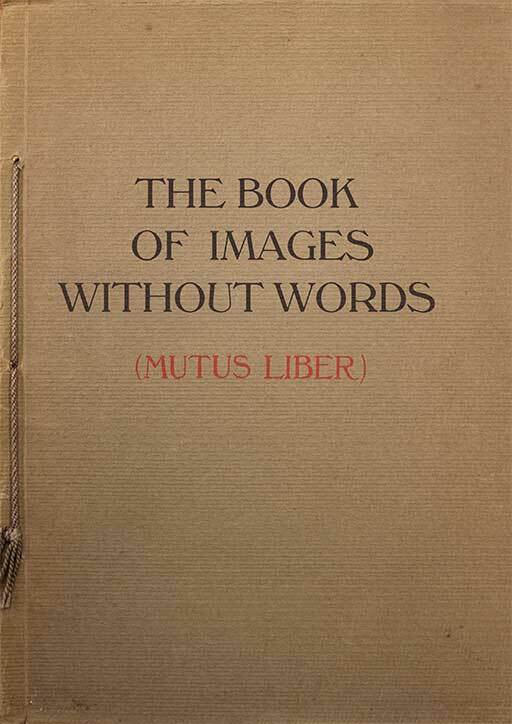 THE BOOK OF IMAGES WITHOUT WORDS is the English translation of the masterful commentary on the Mutus Liber by Pierre Dujols de Valois (Br. Magophon). 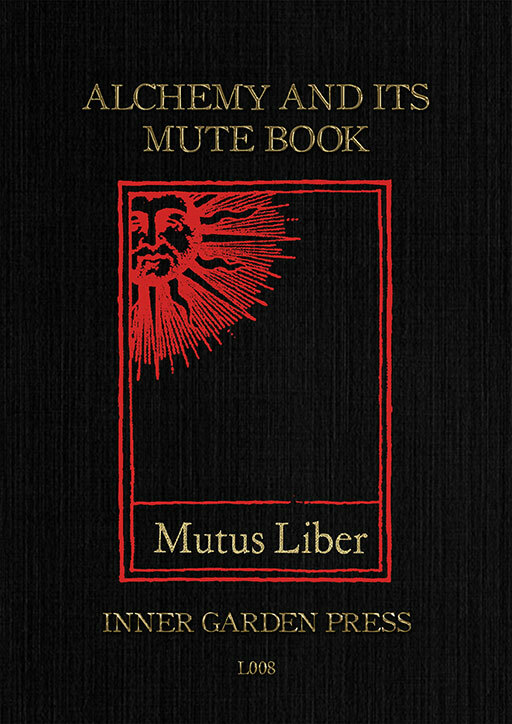 The Mutus Liber was first published in 1677, by an author called Altus. 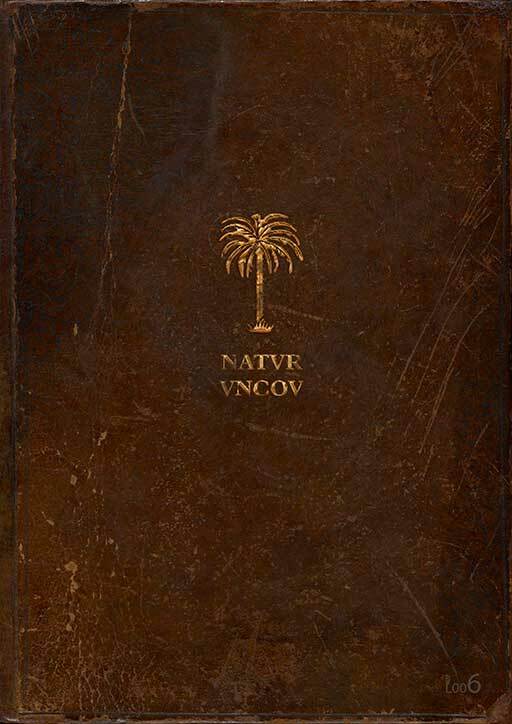 The book contained only images, no words, and desribed a certain path to the Philosopher's Stone. Magaphon was looked upon as the expert-alchemist by many of the Parisian occultists of his time, and some believe he was in close contact with Fulcanelli. A rough translation of Magaphon's commentary was done by Kjell Hellesoe in 1985, but this translation left much to be desired. 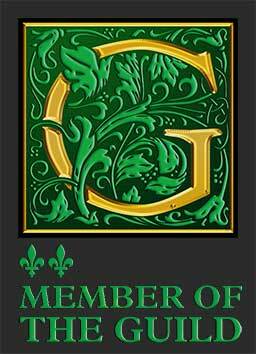 Inner Garden has redone the translation, and included high quality reproductions of the emblems. 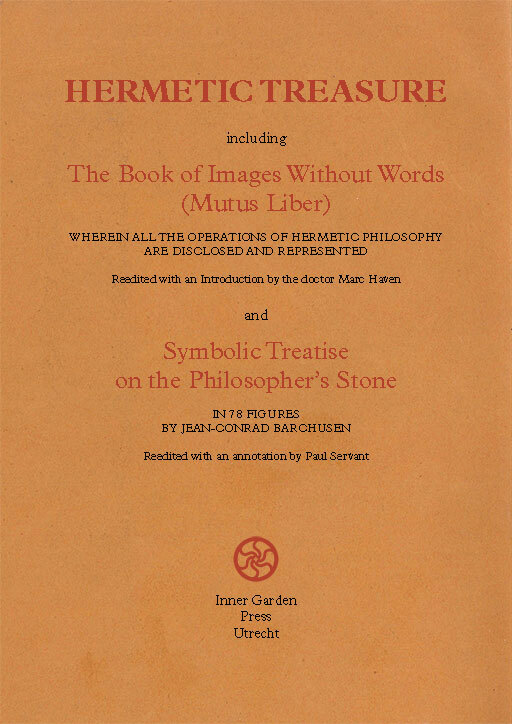 HERMETIC TREASURE: The Book of Images without Words (Mutus Liber) and the Symbolic Treatise on the Philosopher's Stone is the title of the commentary on the Mutus Liber by Marc Haven (Dr. Emmanuel Henri Lalande). Alledgedly it was the first commentary on the enigmatic mute book. The original edition of the commentary from 1914 appeared just before Magophon's in that same year. 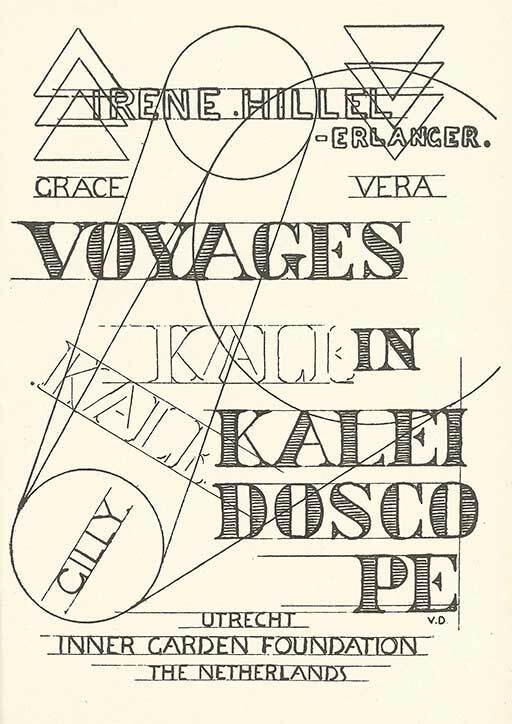 The commentary is exceedingly short and as such stands in stark contrast with the verbose title page of the work. Some would say it has very little to offer compared with the commentary of Magophon or that of Canseliet. However, those fascinated by the Mutus Liber will consider this first commentary to be a must-have. 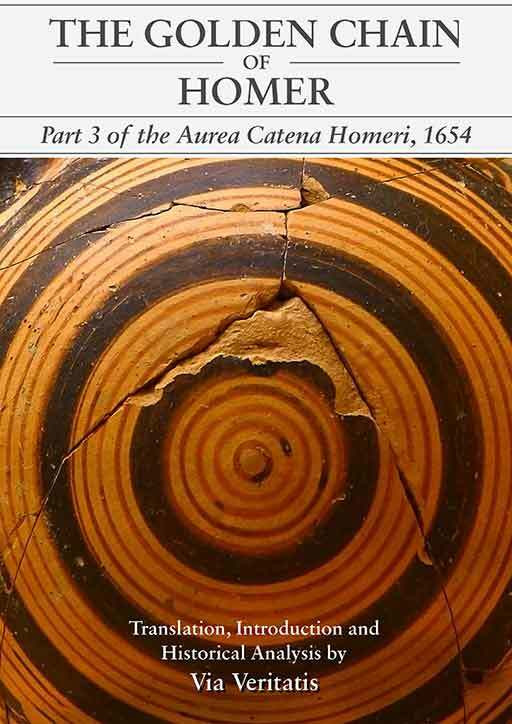 THE GOLDEN CHAIN OF HOMER: Part 3 of Aurea Catena Homeri, 1654: Here is presented, for the first time in the English language, the much prized Third Part of The Golden Chain of Homer. 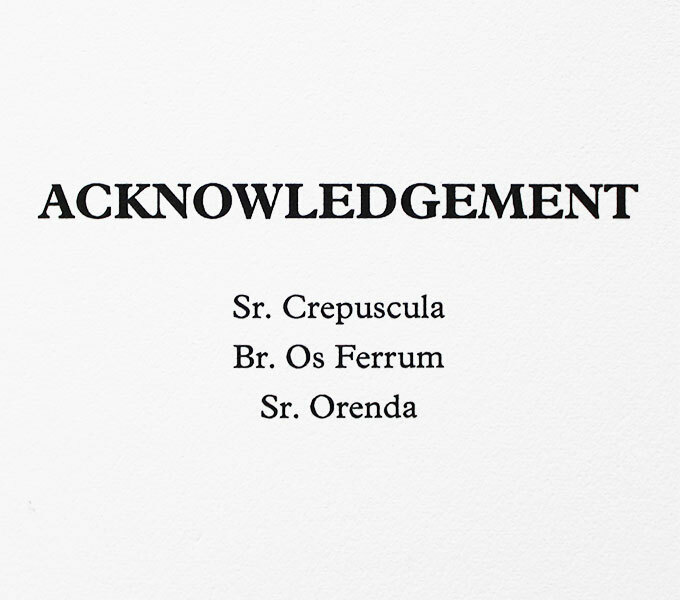 It concerns an anonymous book associated with the same author as that of the famous and well-known Aurea Catena Homeri. In many respects it could be considered the most significant part. It presents a broad range of alchemical doctrines and practices for accomplishing various tinctures and philosophical products, both by the Long Way as well as the Short Way, either by an undetermined matter or by many determined matters from the metallic kingdom, all based on the solid foundations of Alchemy. It should be noted that this is Third Part from 1654 is different than the version that was made available on the Alchemy Website. CHRYSOPOEIA is a treaty written by the renown alchemist Pierre Dujols de Valois. 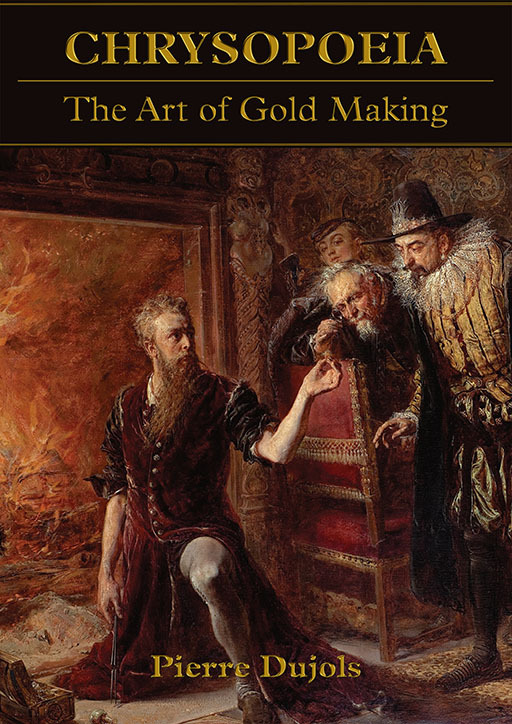 In this book he explains in good detail - in clearer terms than many Masters of old - the operations of traditional laboratory alchemy that are required to make the Philosopher's Stone. He provides instructions as to how to make the White and Red Stone. 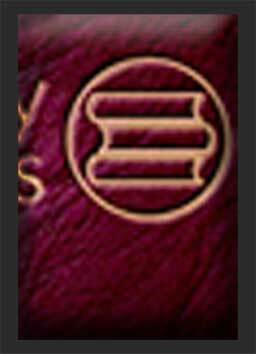 This book will be of interest for the more advanced students of alchemy who operate in the mineral realm of Alchemy. NATURE UNCOVERED: For the children of Science only and not for ignorant Sophists is rare French work written by an anonymous knight. It contains an explanation of the Wet Path to the Stone and a clear and explicate distinction between the medicinal and transmutational Stone. We present here the earliest edition of this fascinating mss – the one also found in Fulcanelli’s library. ALCHEMY AND ITS MUTE BOOK. In the year of foundation in 2010, we published Br. Magaphon’s commentary on the Mutus Liber – the Book Without Words. This year we offer commentary on the Mutus Liber from Magaphon’s friend and associate: Eugène Canseliet. Canseliet had a most pivotal role in the transmission of the alchemical tradition in Europe in the 20th century. Canseliet may not quite touch upon the innermost secrets of the book, as becomes obvious from the preface, yet this book still offers a most formidable insight in the Visual Language of the Alchemists of old. 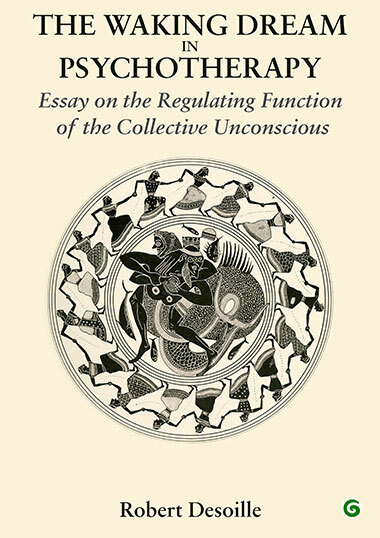 THE WAKING DREAM IN PSYCHOTHERAPY: Essay on the Regulating Function of the Collective Unconscious could be considered Desoille's masterpiece on the internal journey by way of the Waking Dream. 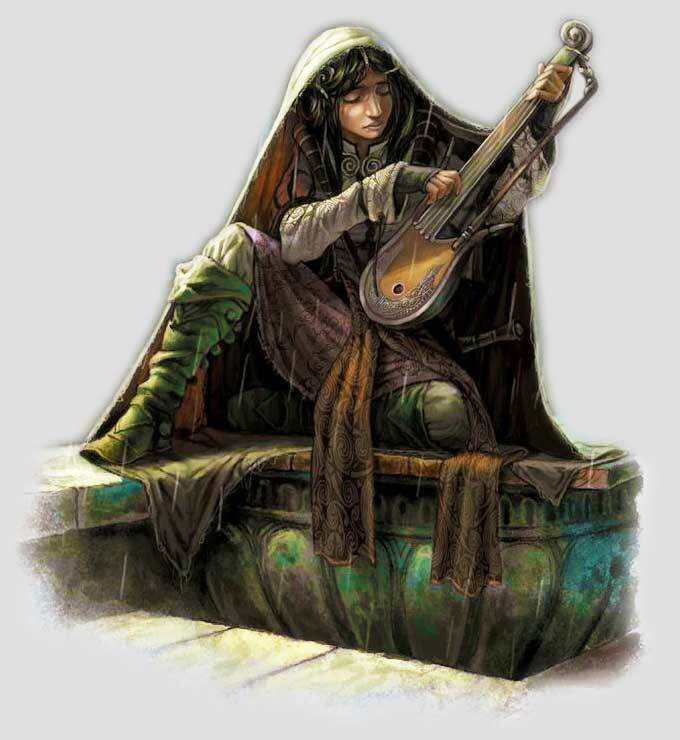 He extensively explores the benefits of the descent and makes use of this as a technique with a specific application. It is exciting to read how he and his subjects pioneer into the darkness that comes with the descent, where subjects enter a chasm or a pit to venture into subterranean worlds. Going deeper and deeper, his subjects discover the nature of a vital force that eventually leads to a more profound understanding, balance and potential for sublimation during the ascent. 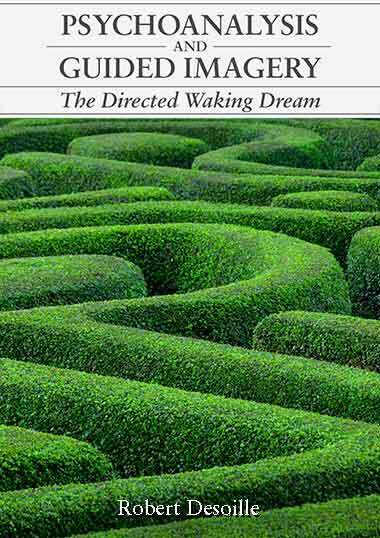 PSYCHOANALYSIS AND GUIDED IMAGERY is a seminal work of one of the pioneers in the field of the Waking Dream. In 1923 Robert Desoille met Colonel Eugène Caslant, who introduced him to an experimental mental imaging technique, which Desoille later developed into the method of the 'directed waking dream' (rêve eveillé dirigé, or RED). Desoille was influenced by Sigmund Freud and Carl Gustav Jung. Desoille's pupils now define themselves as analysts and interpret their practice along Freudian, Freudo-Lacanian, or Jungian lines. Authors that cite Desoille's work include Charles Baudouin, Gaston Bachelard, Juliette Favez-Boutonier, Françoise Dolto, and Daniel Lagache; parallels have also been drawn between Desoille's work and that of Milton H. Erickson and neuro-linguistic programming. 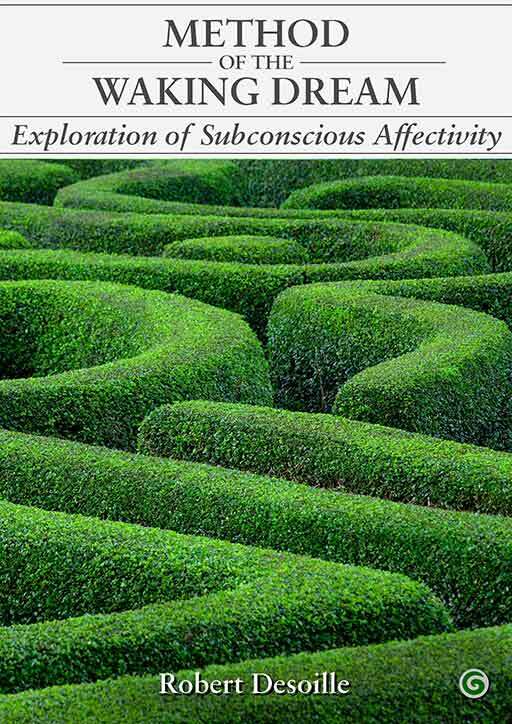 EXPLORATION OF SUBCONCIOUS AFFECTIVITY BY THE METHOD OF THE WAKING DREAM presents Desoille's first findings on the potential for sublimation and psychological acquisitions by way of the Waking Dream (rêve eveillé dirigé, or RED). With the method of the waking dream we enter the domain of questions that do not always directly lead to answers – we enter the domain of the magical, the supranormal, the domain where we are all connected and where time loosens its grip on our experience of life. Desoille is one of the first authors who has been able to approach this domain with both a scientific mindset and a mindset that is open towards everything science cannot yet explain. Desoille provides a formidable point of departure in common language that is understandable for the modern reader that has an interest in this intriguing inner realm that has so much in store for all of us. This book may prepare the reader to pass the threshold into this realm, into the Garden of the Philosophers and Inner Sanctum. Inner Garden Press is proud to offer an English translation of this work for the benefit of the greater community. GUIDE TO MEDITATION captures half a lifetime of experience of the German doctor Carl Happich. Together with a circle of likeminded friends he was involved in a profound discipline of meditation that provides a sort of passageway to the inner realm within us. The meditation method elaborated by Happich consists of a number of subsequent stages of visualizations that were carried out against the backdrop of certain predetermined scenes such as a meadow, a mountain, and a chapel. 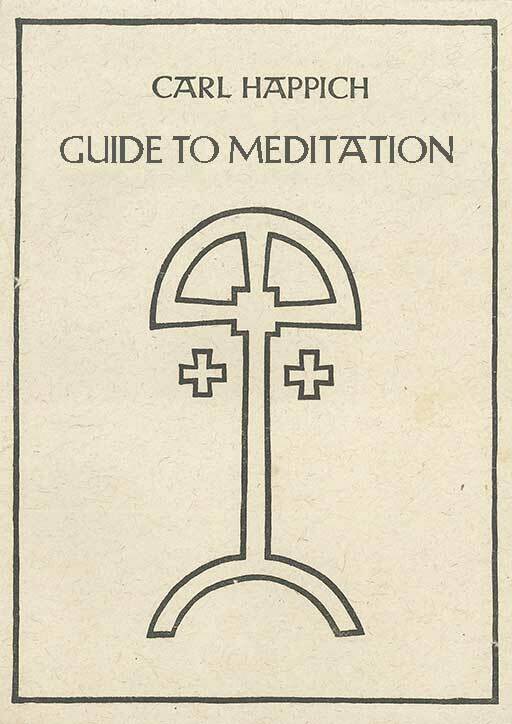 These meditations formed a point of departure for both diagnostic and therapeutic purposes which quickly gained merit. 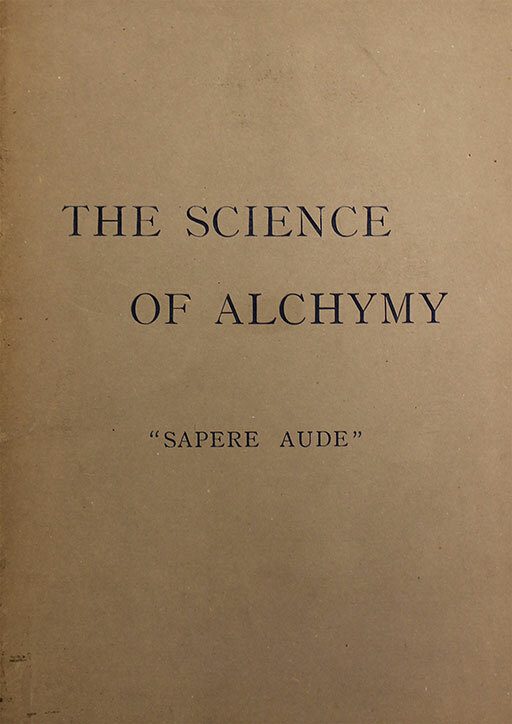 THE SCIENCE Of ALCHYMY is a short treaty in which Sapere Aude defines alchemy in clear terms. 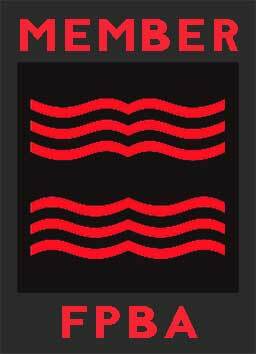 Sapere Aude is a pseudonym of William Wynn Westcott, one of the founders of the Golden Dawn. 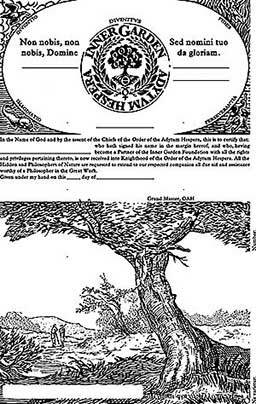 The early Golden Dawn had a distinct alchemical curriculum, reminiscent of the Gold und Rozenkreuz. Westcott proposes that Alchemy has two aspects: the simply material, and the religious. The dogma that Alchemy was only a form of chemistry, is untenable by anyone who has read the works of its chief professors. The doctrine that Alchemy was religion only, and that its chemical references were all blinds, is equally untenable in the face of history. This book is as much true today as it was at the time of its original publication in 1893. 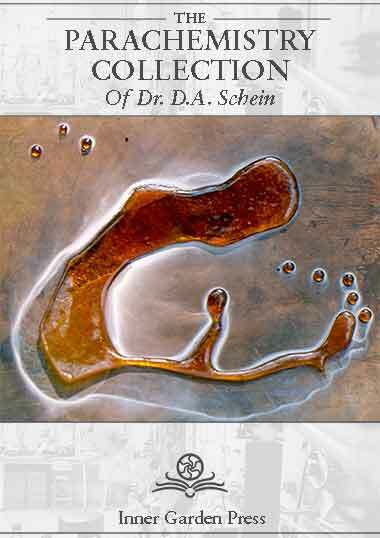 THE PARACHEMISTRY COLLECTION of Dr. Schein gives a unique insight into the teachings of the Paracelsus College of the 1970s. The book in part reads like a manual on the subject of Alchemy and in part is a historical record of the Paracelsus Research Society and Paralab. The laboratory section includes detailed instructions on a wide range of techniques and operations that are relevant to the spagyric art. The Inner Garden foundation was legally established in 2010 and that same year the first publications, of Inner Garden came out: The Science Of Alchymy, by Sapere Aude, The Book of Images without Words (Mutus Liber), by Magophon, and Basilius Valentinus and his Tinctures from Antimony, by Dr. Schein. These books were all published as ebooks. In those early days we did not bring out any hardbacks. The only tangeable print that was made was a traditional letterpress project of Inner Garden's certificate which was done on Fabrioni 100% cotton paper with a Thompson Platen Press. In 2015 Inner Garden published its first hardcovers with a focus on quality and craftmanship. Offset was chosen in favour of letterpress but again with the highest quality inks and 100% cotton paper. 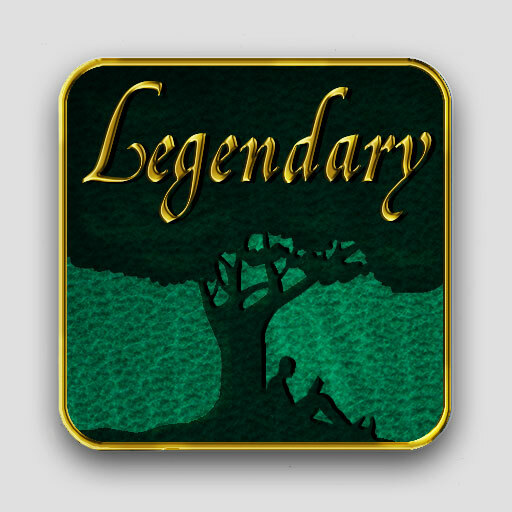 All hardbacks are released as limited editions, both the Fine Bindings and the highly limited Legendary Edition. Inner Garden Press aims to continue bring out a small selection of quality books. Quality in content and unparalleled durability and craftmanship in print and binding. Inner Garden books are meant to last hundreds of years. Why do these hardcovers cost a fortune? We believe this is a matter of perspective. Does an Iphone cost a fortune? Knowing that an Iphone bought now will be worthless five years from now? 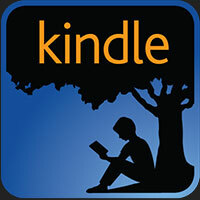 For the same money you can buy a great book and a reasonably priced smartphone. The great book will retain its value. Given its rarity and limitted edition it may even rise in value over time. Okay, but can't these hardcovers be a little cheaper? 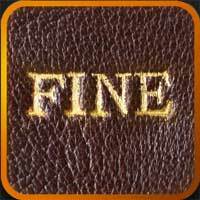 The handwork and time that goes into making a french style binding is what makes it expensive. Ask any established bookbinder for a price of French style bindings, made the traditional way (bound on cord and with hand-embroidered headbands), and you will have to acknowledge that the prices of our books are more than reasonable. Why did IG Press choose such an expensive way of binding? French style bindings are the epitome of class and durablity. They look great and last forever. It is said that a small child can hang on to the book without tearing it. We believe it is better to acquire a few books of quality than a whole library lesser books in a lifetime. All those print-on-demand books will someday end on the garbage belt, or the paper-recycle-bin at best. 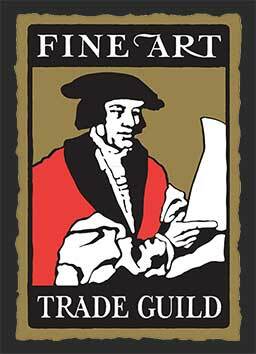 Our fine bindings however will continue to be enjoyed for many generations. 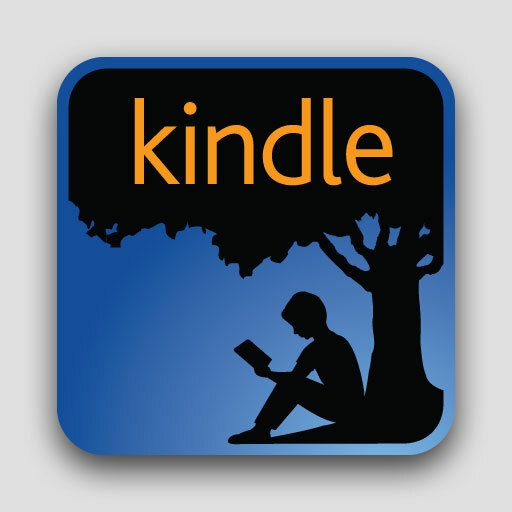 Our Kindle Edition is what we see as our regular edition. The investment in an e-reader is no longer a stumbling-block and e-ink readers nowadays provide a comfortable way to bring your books with you everywhere. Those who like to keep a library will appreciate the quality of our Fine Bindings because there is nothing like the look of fine leather with subtle gilding on the spine. 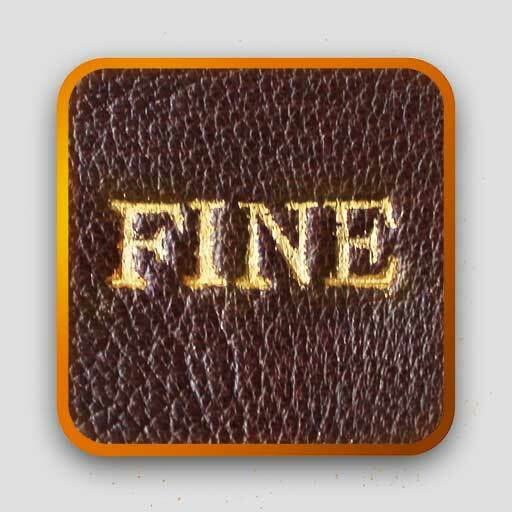 Beforewarned that once you have held our Fine Bindings in your hand, your definition of a regular book might not be the same. The rest of your stack of books might suddenly seem like a mere bulk of paper. Our answers here may tend towards “we do it how we want, deal with it.” However, this is not our intention. We are happy to hear of suggestions, questions or comments from book lovers and students of alchemy. Please do send us a message! Support us in translating valuable works. in a book yet to be published. 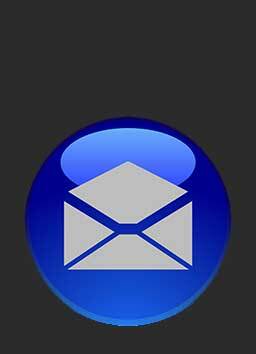 Register to our newsletter and be updated on our latest publications. Below PhPlist is not yet active. 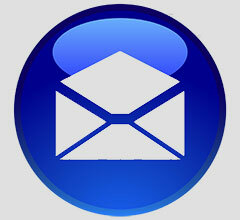 Please email us at serps@innergarden.org in the meanwhile.